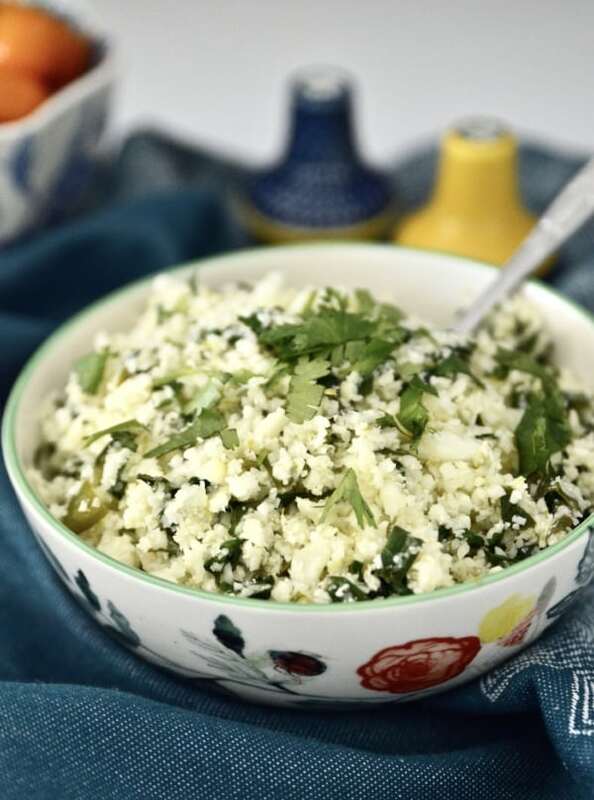 Whole30 Cilantro Lime Cauliflower Rice is such a great alternative to plain cauliflower rice. Because let’s be honest, cauliflower rice can be a little boring. But not this Cilantro Lime Cauliflower Rice! 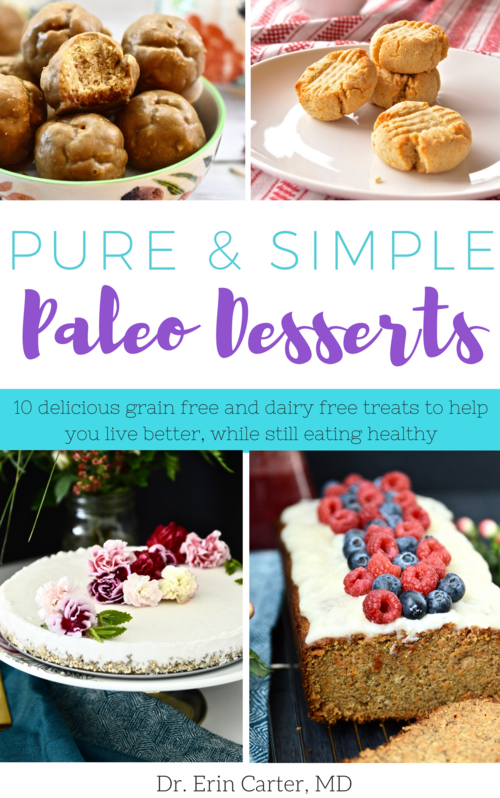 This dish is also paleo, AIP and vegan friendly and is incredibly easy to make. Your whole family will love it! Get Grass Fed Beef Delivered right To Your Doorstep – Plus Get $10 off your first order and a free package of bacon! After last weeks recipe of Paleo Cookie Bites with Maple Butter Icing I decided I better post something other than a dessert recipe this week. 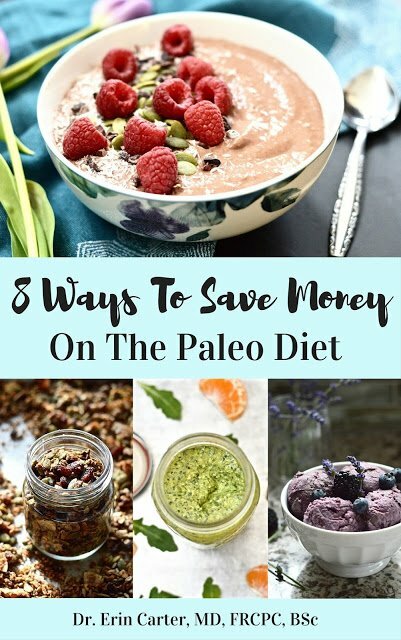 Because as much as I love my paleo treats, I realize they can’t make up the majority of your diet. Sad but true right? 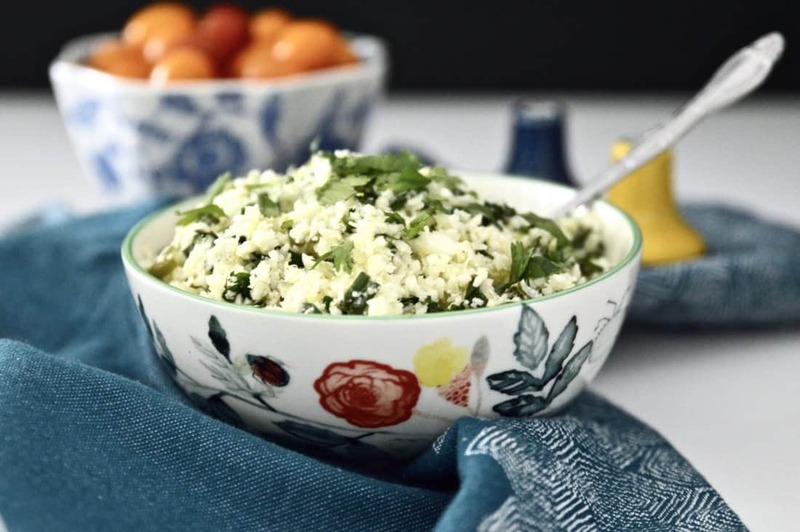 So this week we are diving into Cilantro Lime Cauliflower Rice. Which trust me, is so, so good! How was your weekend? Amazing I hope! Mine was busy. But a good busy! On Saturday I held a little Beautycounter social at my place which was a ton of fun! I made some yummy snacks, did a little safe skincare education and then the ladies got to play with all of my Beautycounter goodies! One girl even loved the products and the mission behind the company so much that she decided to become a consultant right there on the spot. It was so fun to watch! 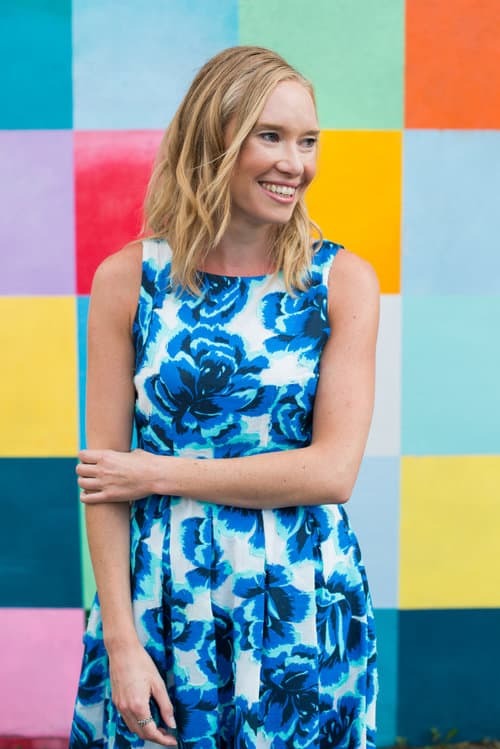 I get asked all the time why I signed up to be a Beautycounter consultant. “Aren’t you busy enough Erin? You already run a full time medical practice, a blog, and now you are selling skincare products too?” These are the questions I get asked. But for me the answer is pretty simple. My passion is in health and wellness. And right now most of us are being exposed to so many toxic and dangerous chemicals through the products we are putting on our skin, and most people have no idea this is going on. It’s a simple fact that the skincare industries in the US and Canada are basically un-regulated. This means that brands are allowed to use known carcinogens, endocrine disruptors, neurological toxins and other harmful ingredients and they don’t even have to disclose those ingredients on the labels! It is so maddening! 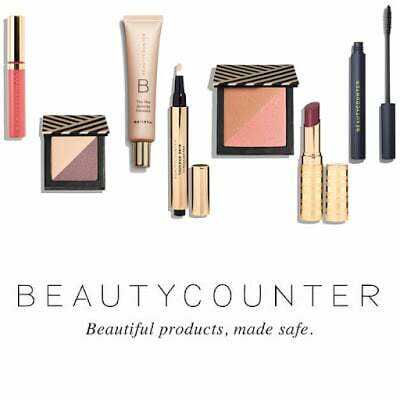 It doesn’t take a lot of work to be a Beautycounter consultant, and the financial benefit has been such an added bonus for me as well. If you are at all interested in health and wellness, or are even just looking to earn a little extra money signing up as a consultant may be the perfect fit for you. Again, just message me and we can chat! But that’s enough skincare talk for one day. 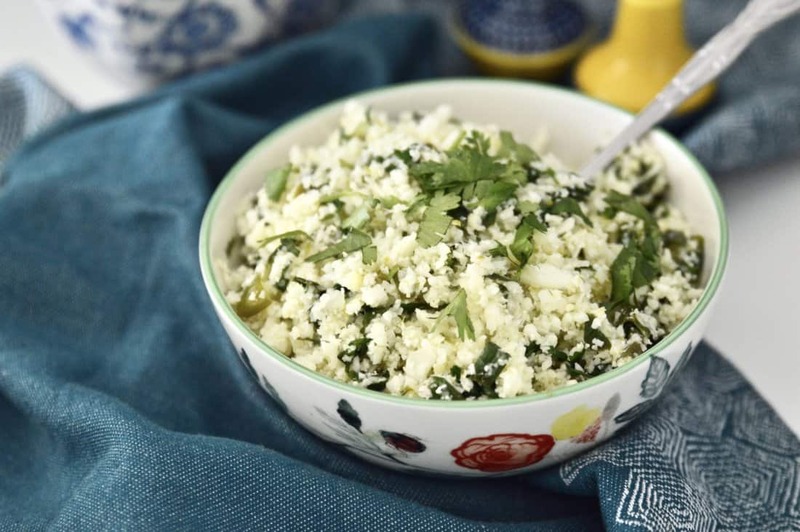 Let’s chat about this Cilantro Lime Cauliflower Rice shall we? Doesn’t it look tasty? That’s because it is! Can you believe this is my first cauliflower rice recipe that I have ever posted? I know right? 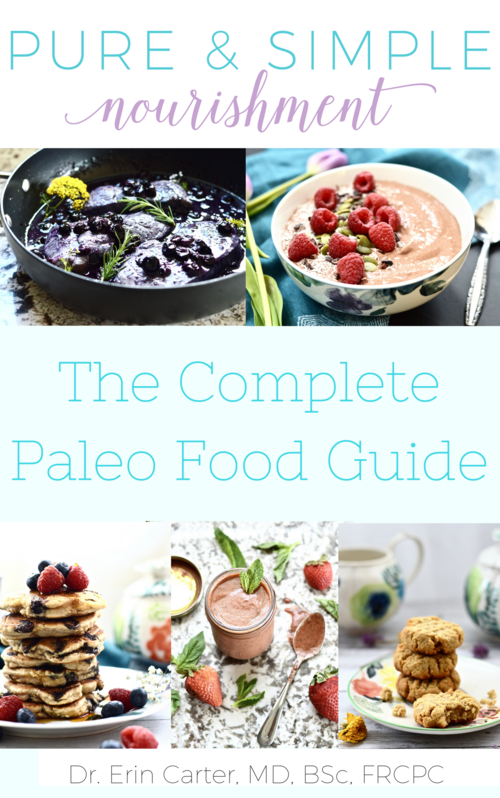 Because what is the paleo diet without some cauliflower rice? The flavours of this dish were inspired by my trip to Bali that Erik and I took back in October (can you believe it was that long ago? I can’t!). The food flavours there were just so incredible. I already want to plan my next trip back! 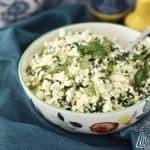 This Cilantro Lime Cauliflower Rice is paleo, Whole 30, vegan, GAPS, SCD friendly and is of course, gluten, grain and dairy free. 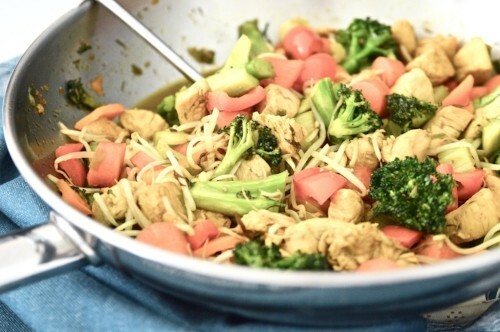 It is such a great tasting side dish that pairs well with stir-fry, chicken or pork dishes. I even had some with my grassfed steak last week. Speaking of which, I have had a lot of questions from you guys recently about where to get grass-fed beef. So I have made it so much easier for you! I have partnered with Butcher Box who will deliver grassfed beef and other pasture raised meats straight to your door! So if heading out to the farm to get your meat, like I do, isn’t feasible for you, this might be the perfect option. Plus, if you sign up through this link you will get a FREE package of bacon and $10 off of your first order! You can learn more about Butcher Box here. I hope you love the rice! Please let me know if you try it.